Cole O’Connor and Jonah Smith combined for seven scoreless innings, but the Madison Mallards’ bullpen came undone, allowing five runs in the final two innings in a 5-3 loss to the Kalamazoo Growlers in a Northwoods League amateur baseball game Saturday night at Warner Park. 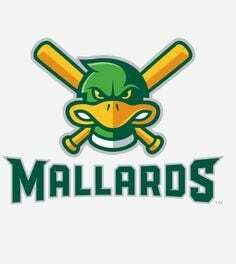 Carson Ragsdale allowed two runs in the eighth and Trace Norkus gave up three in the ninth for the Mallards (39-18, 11-10 second half). Norkus allowed two hits and a walk against the Growlers (36-21, 12-10). He threw three wild pitches. E — Hall. LOB — Kalamazoo 3, Madison 8. 2B — Mervis, Randa, Baker. HR — Daniels, Plantier. CS — Johnson. DP — Kalamazoo 1, Madison 1. HBP — Johnson (by Ragsdale). WP — Virbitsky 2, Norkus 3. T — 2:33; Att. — 6,750.